Frank L. King, 84, beloved husband, father, grandfather, and great grandfather died peacefully in his sleep at his home in North Tustin, California after a lengthy illness. He is survived by his wife of twelve years, Jeanne Dunlap King, three children, Dianne French (husband Jerry), Ron King, (wife Charice), and Phyllis Paulsen (husband Darol), by his marriage to Virginia Choate King, who predeceased him in 1980, and stepchildren, Clayton Dunlap (wife Ruth), and Teana Dunlap. His stepdaughter Jody Greenelsh, predeceased him in 1997. He was the beloved grandfather of Frank Shadburn, Laurie Raphoon, (husband Ray), Ginny French, Ron King, Jr. (wife Nicole), Westley King (wife Rachel), Paul King, (wife Kate), Jon French, (wife Muey), Melissa French, Samantha Dunlap and Nick Greenelsh, (wife Janeen), and a doting great grandfather to twelve great grandchildren. He is also survived by two loving sisters-in-law, Martha Jean Choate Paris (husband Jack), of Orange, Ca, Margaret Scott King, Iuka, Mississippi and many favorite nephews and nieces. He was also predeceased by his beloved brother, J.B. “Tobuck” King and Leo “Little Brother” King of Iuka, Mississippi. Frank was born in in Iuka Mississippi, on April 14, 1923. He led a full and exciting life. 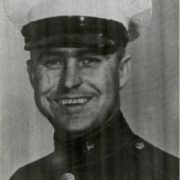 He enlisted in the Marine Corps in 1943 and flew missions as a tail gunner, navigator, and radioman in World War II and Korea. He received many decorations and medals, and when he retired in 1964 he was serving as Sergeant Major of recruiting for the seven southeastern states. He loved the Marine Corps and the opportunities it afforded him and his family his entire life. He passed away a proud Marine. 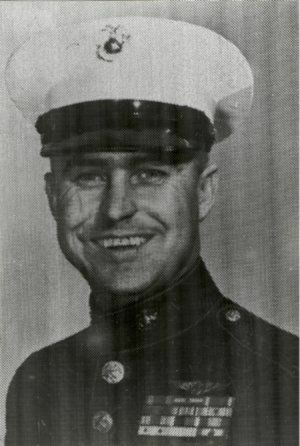 After his retirement in Macon, Georgia in 1964, Frank and his family returned to Orange County where he served most of his career at the El Toro Marine Corps Air Station. Frank then launched himself on a successful new career as a financial adviser. He was a pioneer in developing the “independent broker/dealer” which specialized in offering financial services to “Middle America”, and in 1977 was the Founder, President, and CEO of Titan Capital Corporation. Titan Capital was the largest independent broker dealer headquartered in Orange County, Ca., with offices in all 50 states and 1300 registered representatives. After merging Titan with another San Diego brokerage firm, Frank sold Titan to a subsidiary of Pacific Life Insurance Co. of Newport Beach, CA in 1998. Frank’s life after 1998 was mostly devoted to he and Jeanne traveling, doting on grandchildren and great grandchildren, and seeing how many rounds of golf they could play! His infectious laugh, crooked smile, and the ever present cigar (chewed not lit!) will be greatly missed. He lived his life by one simple credo: “What did we say we would do? Then do it!” Services to be held on Wednesday January 30, 2008, 12:00 PM at Fairhaven Memorial Park in Santa Ana, Ca. In lieu of flowers, the family requests donations may be made to Operation Family Fund in Ridgecrest, California. Santa Barbara Couple Donates $5,000 to Operation Family Fund in Support of Our... Spread the word! Operation Family Fund has a new website!